Our foam packing rolls are a great light weight packaging alternative and will lower your shipping costs. 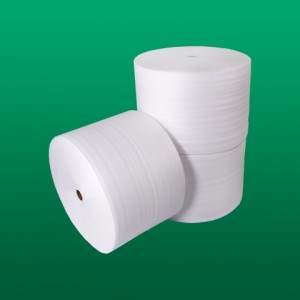 12" perforated rolls make packing more convenient by providing easy tear off. All our foam rolls are manufactured with a non-flammable, 100% recyclable, blowing agent, and each roll is made with at least 15% recycled, pre-consumer content, making them an environmentally sensitive solution at no extra cost.